Legionnaires at every membership level are afforded the opportunity to suggest changes in their local posts' policies, or even to the manner in which the Legion operates as an organization. Legionnaires interested in initiating such a process must file a resolution – a written description of a problem or situation, followed by a suggestion as to how it may be corrected. A resolution may also be a statement or declaration pertaining to an issue of concern to the Legion. It consists of two parts: the preamble (description of the problem), and the resolve clause (how the local post, department or national organization should solve the problem or support the issue). The entire resolution should be one continuous sentence, with the preamble clause(s) preceding the resolve clause(s). Use the Resolutions collection in the Digital Archive to search and view current resolutions from 1950 to present. Active resolutions within the legislative program are also included in this collection. For questions about historical resolutions that are no longer the policy of The American Legion please contact the Library. Need help writing a resolution? 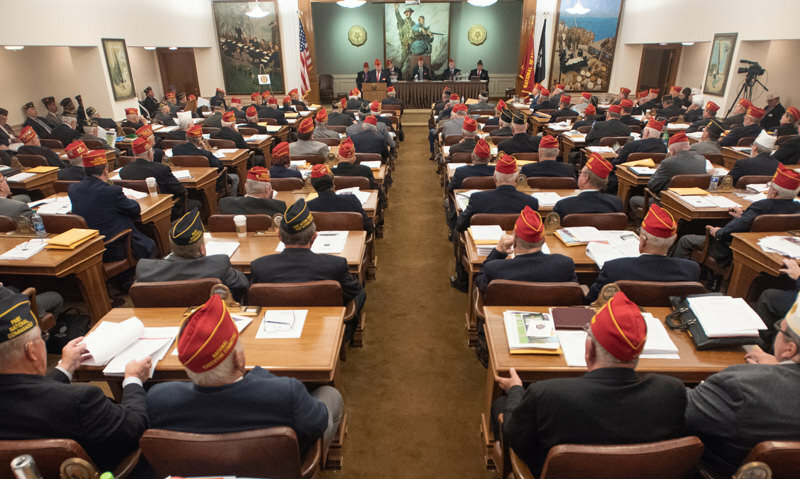 The resolution booklet has been developed to assist The American Legion staff and volunteers to be as consistent as possible in composing and writing resolutions.